These days my belly is growing, energy is scarce and basically anything goes in our house. Want to wear your Christmas jammies in July? You got it. Need your tutu that accompanies every outfit? Of course. Got your snack and your drink in the same cup? You bet! 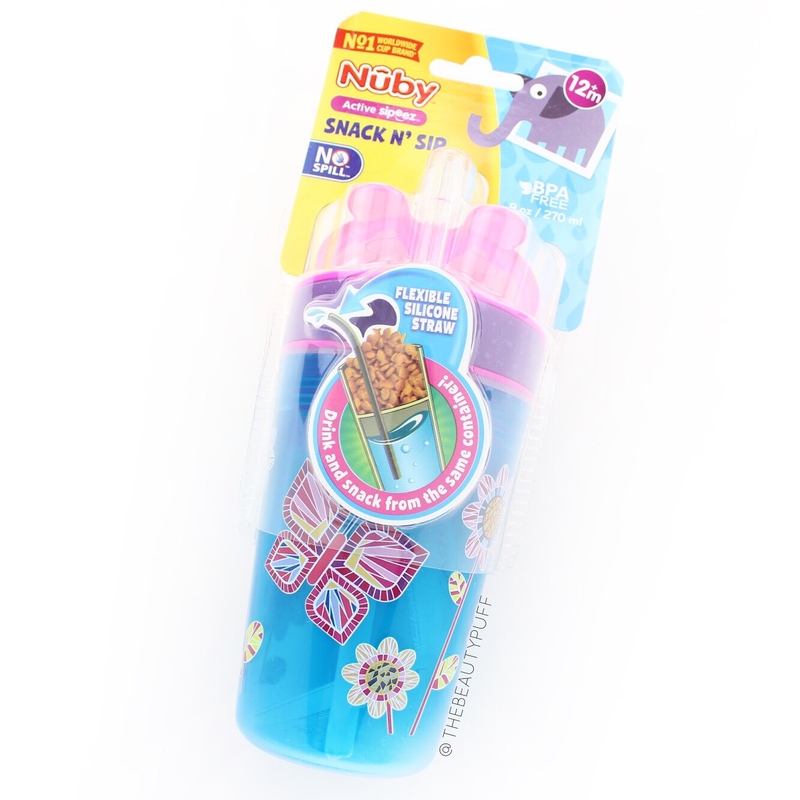 Nuby's Snack N' Sip Cup makes everyday snacking a breeze whether we're home or on-the-go. 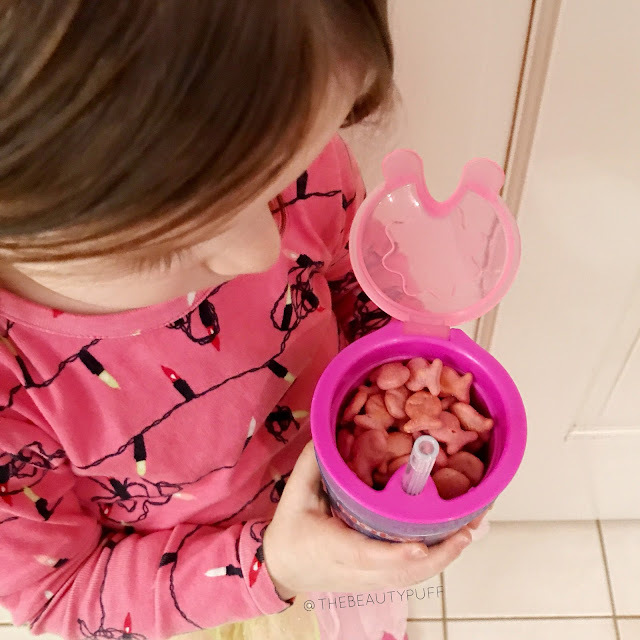 It's one thing that makes snack time fun and easy for both of us. 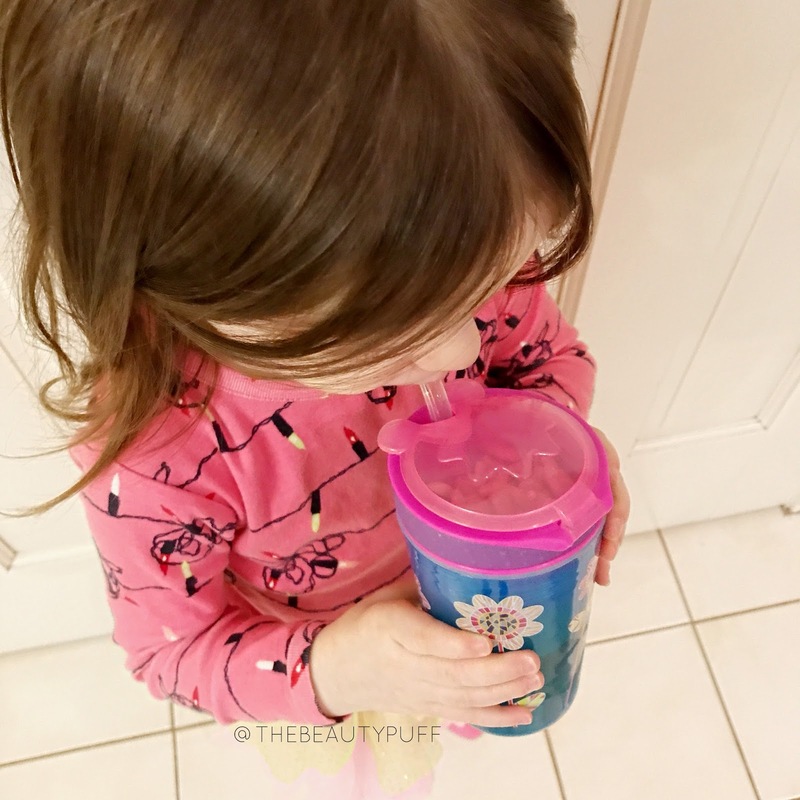 The Nuby Snack N' Sip Cup provides ample space for both snack and drink so you don't have to compromise while packing for your little one. The bottom portion holds 9oz of liquid so your kids will stay hydrated no matter where you go. The flexible straw makes for easy drinking so the cup never needs to be tipped and snacks stay put. The top portion holds just the right amount of food with a convenient lid that can be closed when not in use. Even before I washed this cup, my daughter couldn't wait to get her hands on it! The whimsical print and eye-catching design got her interested immediately. The cup is also a great size to fit in her cup holder in her new car seat so she can have it when we go out as well. With all the changes happening in our family, I love that she has "big girl" things that are special just for her and she can feel proud about. The Nuby Snack n Sip Cup is BPA free and comes in adorable prints your little one will love. Shop the whole collection now at Babies R Us and through July 4th enjoy 15% off your regular priced toy or baby purchase with code JULY15OFF. (Exclusions apply) Shop below!